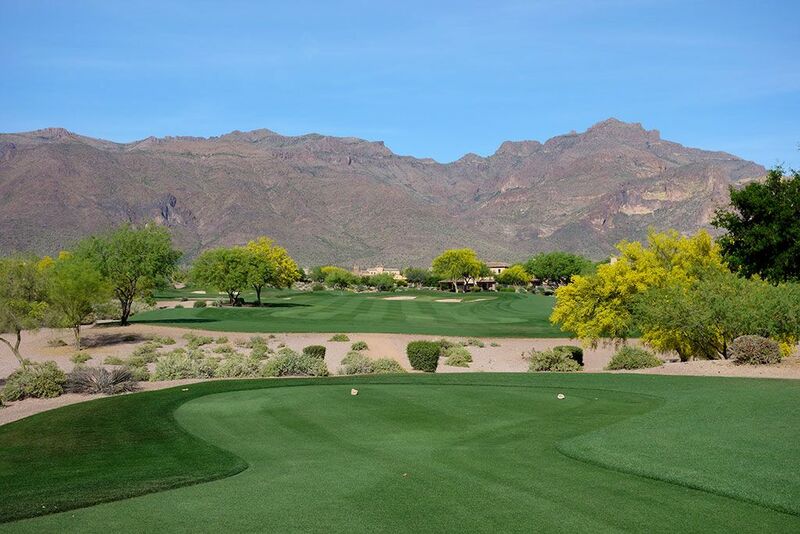 Course Website: Official Website - Visit Superstition Mountain (Prospector)'s official website by clicking on the link provided. 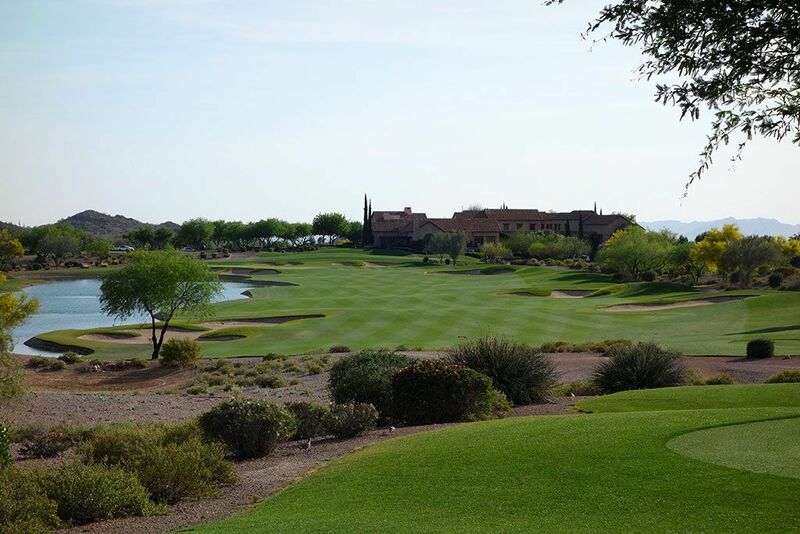 Accolades: Ranked 24th in Arizona on Golf Course Gurus' Best in State list. 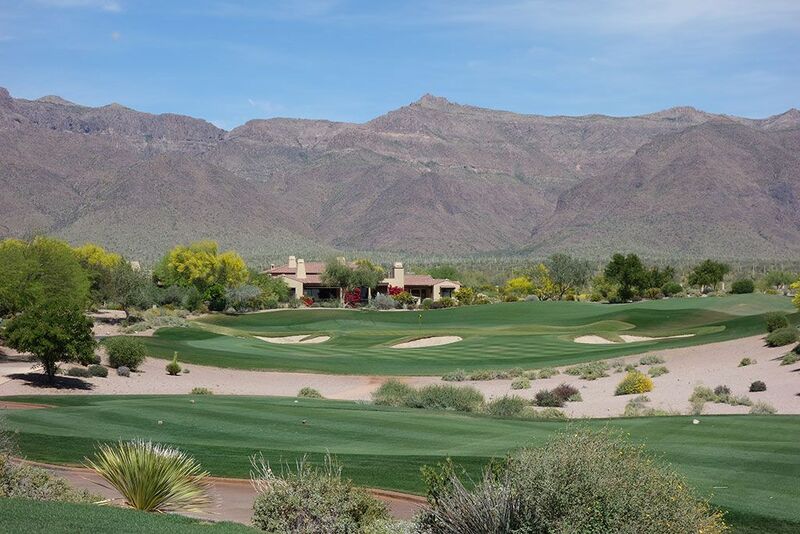 What to Expect: Superstition Mountain is a 36 hole club featuring a pair of Jack Nicklaus designs with sons Gary helping on Prospector and Jack Jr. assisting on the newer Lost Gold track. The courses sit on a nearly 900 acre property that includes residential development and is anchored by a 50,000 square foot clubhouse inspired by Tuscany. 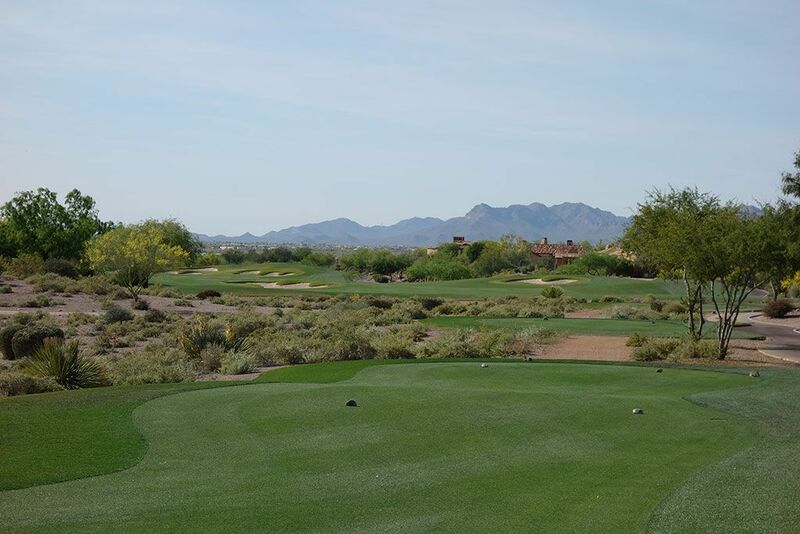 The courses run through rocky desert terrain highlighted by mature saguaro cactuses and impressive mountain backdrops. The courses look and feel a lot the same though Prospector isn't quite as challenging and features more risk/reward opportunities. The conditioning of both courses is top notch with the greens running as fast and pure as any that you'll encounter in the Grand Canyon State. 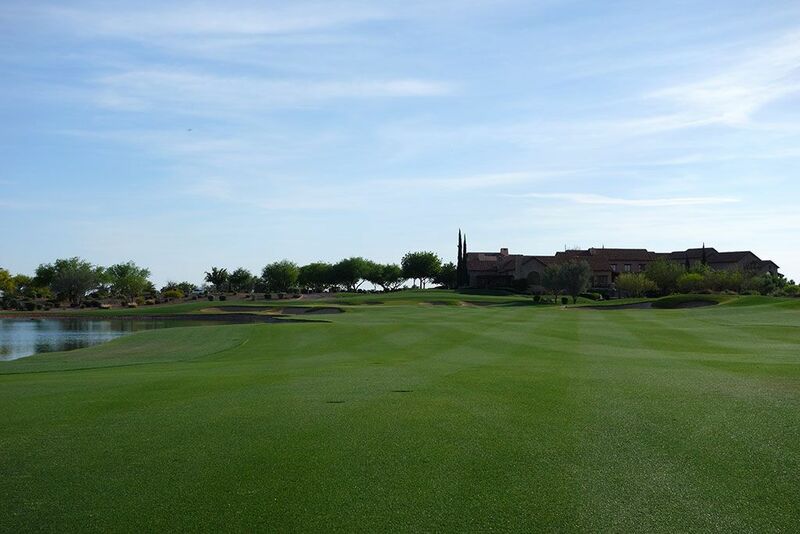 The tees, fairways, rough, and collars are overseeded with rye grass during the winter months which tends to grab more than bermuda which will require an adjustment when hitting chip shots around the greens. The courses are mostly flat with just gentle elevation changes throughout the routings which leads some players to elect to walk when the weather isn't too hot. From the forward tees there are very few forced carries to deal with and the entrances to the greens are generally unencumbered which provides excellent playability for all skill levels. 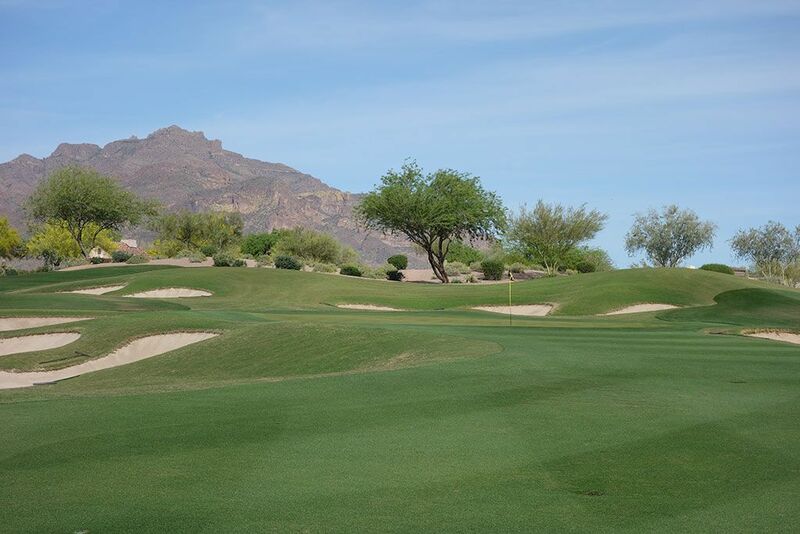 In addition, the putting surfaces feature little undulation which is fortunate considering the green speeds Superstition Mountain is known for. 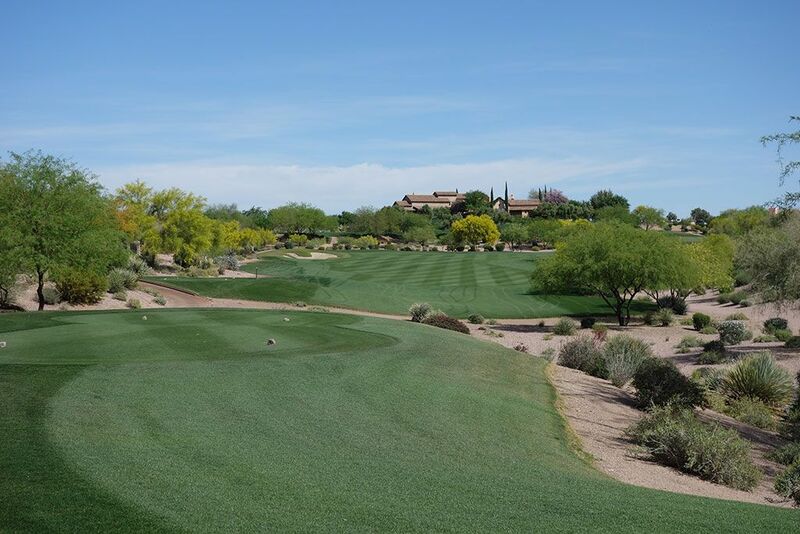 The courses boast wide fairways which is a welcome sight when playing desert golf since wayward shots in Arizona often lead to lost balls and broken spikes. Just two water hazards are found on the property and they both come into play next to the green on the closing holes of each course. There aren't any quirky holes or odd design features, but one solid hole after another throughout the property. Signature Hole: 18th Hole – 553 Yard Par 5 – The lone water hazard on Prospector is found on this impressive closing hole that gives players one last risk/reward opportunity as they descend towards the clubhouse. With bunkers sitting in the landing zone on both sides of the fairway players may have concerns but should be more worried about the water hazard that extends up the entire left side of the hole. If you are going for the green in two then a high draw is the shot you'll need to pull out of your bag as you weave through the four greenside bunkers and open up the angle into the putting surface. If you lay up then the garden spot is located beyond the last fairway bunker and the green side bunkers. From this position on the right side of the hole players are afforded the perfect angle of attack to stick it close to the flag. 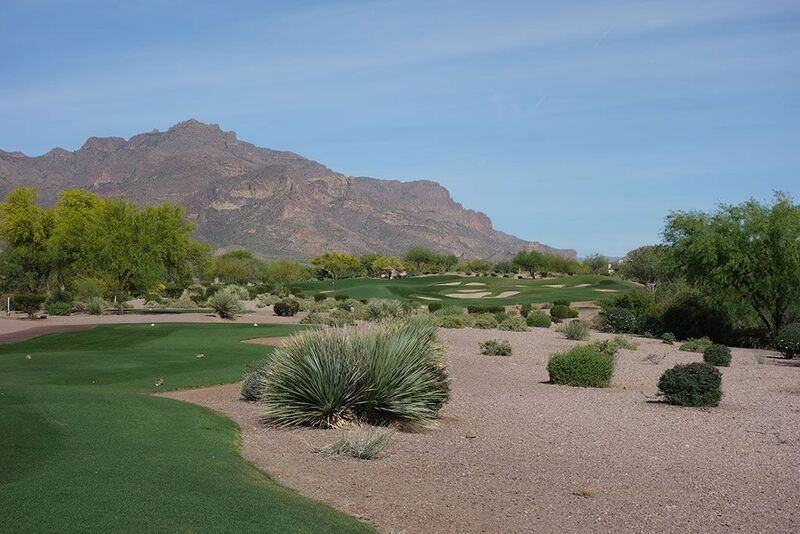 Best Par 3: 4th Hole – 184 Yards – This scenic one-shotter plays to a well protected green that boasts the Superstition Mountains towering in the background. The green is slightly raised and a pot bunker is centered in front of the putting surface so running a ball up onto the green is a dicey proposition. The best miss is long where a backstop is resting deep, so if you are between clubs take the longer of the two. Best Par 4: 9th Hole – 442 Yards – The closing hole on the front nine is this dogleg right that features a bunker on the left side about 285 yards from the back tee. The fairway doglegs at this bunker and plays to a green protected completely on the right side by a large bunker and features a narrow opening to the green. Attempting to cut the corner looks a bit appealing off the tee but most players will find the desert waste area hidden by the trees and bushes on that line. The 35 yard deep putting surface begs you to play towards the back of the green to have the most forgiveness with your accuracy. Best Par 5: 13th Hole – 589 Yards – The 13th is a subtle double dogleg that throws a bunker in the middle of the fairway at you to contend with. Tee shots under 250 yards will come up short of the trouble while a carry of 275 yards is required to fly the sand and put yourself in perfect position to take a rip at the green in two. A cluster of bunkers await on the right side of the hole 75 yards short of the green and are aimed at challenging players attempting to lay up to the ideal angle into the green. A penalizing bunker shields the left side of the green which is a bigger factor for players going for the green in two. 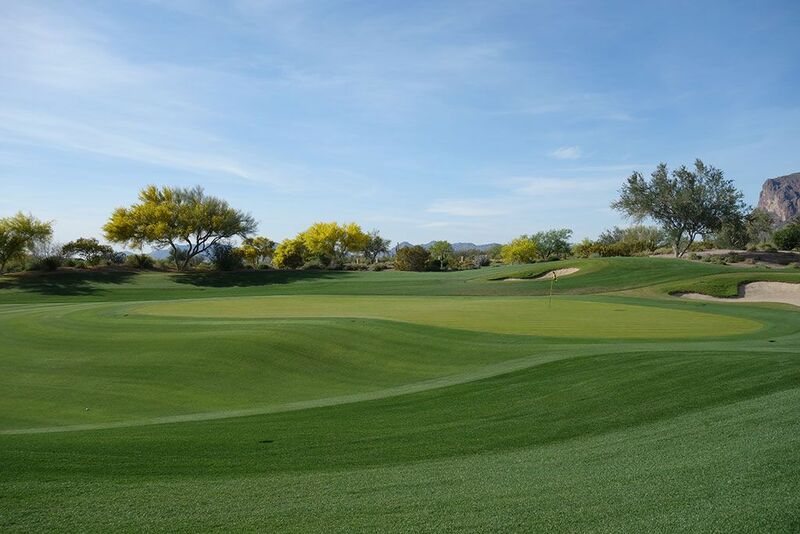 Birdie Time: 14th Hole – 331 Yard Par 4 – The shortest par four on either course at Superstition Mountain, this green can be reached off the tee when playing downwind. A carry of 200 yards is required to clear the waste area before reaching the fairway which utilizes a series of bunkers on the left side to create separation from the neighboring hole. Players taking a rip at the green need to steer clear of the pot bunker fronting the green, but the smartest play is a drive up the generous right side of the hole which will set up an easy pitch into this receptive green. 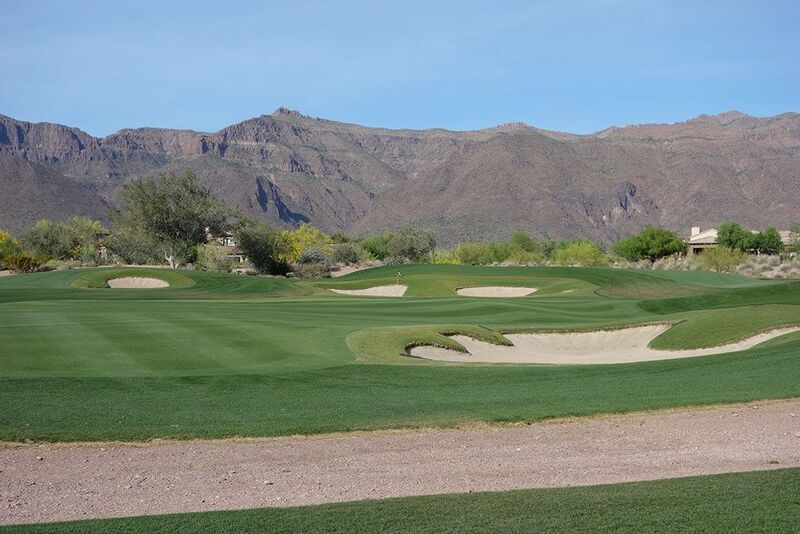 This is easily the best birdie opportunity of all 36 holes at Superstition Mountain so take advantage of it! Bogey Beware: 16th Hole – 446 Yard Par 4 – The longest par four at Prospector is this beast that requires a draw off the tee to maximize your distance and shorten up the approach into the green. The second shot plays over a desert wash to a green that features a nasty drop off in the back of this green. The slope pushes balls back and to the right to a tightly mown chipping area that is difficult to get up and down from. With length, a forced carry approach, five bunkers, and a tough green to contend with, bogey is a respectable score here.